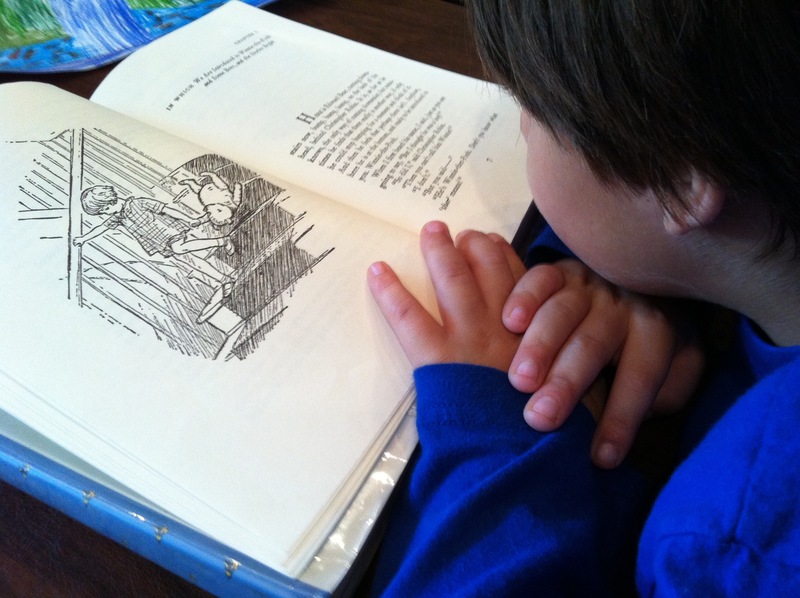 Taking the step from picture books to chapter books is a natural process for the early reader. Just as children gradually grow from learning almost exclusively through the senses into more abstract thinkers, they will be able to understand and enjoy the process of combining the technical skills of reading with their growing use of imagination to create their own wondrous images from words. Let your child’s interests guide your choice of books. Typically, throughout early childhood, a child goes through heightened stages of interest in which certain concepts fascinate him for an indefinite period. Look for early chapter books with these themes. A child will be more likely to keep the sustained interest that chapter books demand if he is curious about the subject. The lesson here is to look over the plot of any book before you hand it over to your child. I like the My Father’s Dragon trilogy by Ruth Stiles Gannett. In addition to being a classic story of heroism and adventure, each novel is short (about eighty pages) and printed with larger typeface than the norm, which makes it an inviting challenge for a young reader. Other excellent choices, are Cynthia Rylant’s Lighthouse Family series and Johanna Hurwitz’ Park Pal Adventures. All of these early chapter books have lovely illustrations that help to create a bridge between books with mostly pictures and books with mostly words. Although a child has begun to develop the skills to be able to read and comprehend chapter books, don’t give away all of his picture books. Children find these familiar stories soothing and will often turn to them for enjoyment as they are transitioning. Chapter books demand much of an early reader who may still be struggling with technical skills and unused to the increased attention span that a chapter book requires. Even if a child does not fully grasp the meaning of each word, he will, undoubtedly, be enchanted by the very sound and rhythm of the language, especially if you are. Children have acute sensibilities and know when an adult is truly enjoying the time spent reading or is just performing another necessary chore. So, pick a time (everyday) in which you are unhurried and able to relax with your child over a book, though it may only be 15 minutes before bedtime, it is a very worthwhile time together that will help your child to form deep and positive attitudes towards literature.